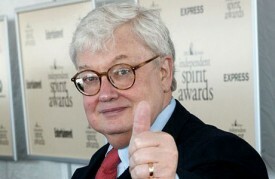 Roger Ebert recently passed away. With the loss of one of the great advocate of cinema I am reminded of a relevant and poignant quote of his which I filed into my impermanence notes several years ago. Roger Joseph Ebert (June 18, 1942 – April 4, 2013 was an American journalist, film critic and screenwriter. The Chicago Sun-Times said he “was without question the nation’s most prominent and influential film critic,” and Forbes described him as “the most powerful pundit in America”. He was both the first film critic to win a Pulitzer Prize, and the first to be awarded a star on the Hollywood Walk of Fame.